Home » FBI Confirm Aliens Exist – Released Declassified UFO Documents & Files – Who Is The Real Threat To Earth? EDIT (April 2013): The FBI have recently published a blog post confirming that they never investigated the claims made in the now-famous Hottel memo. 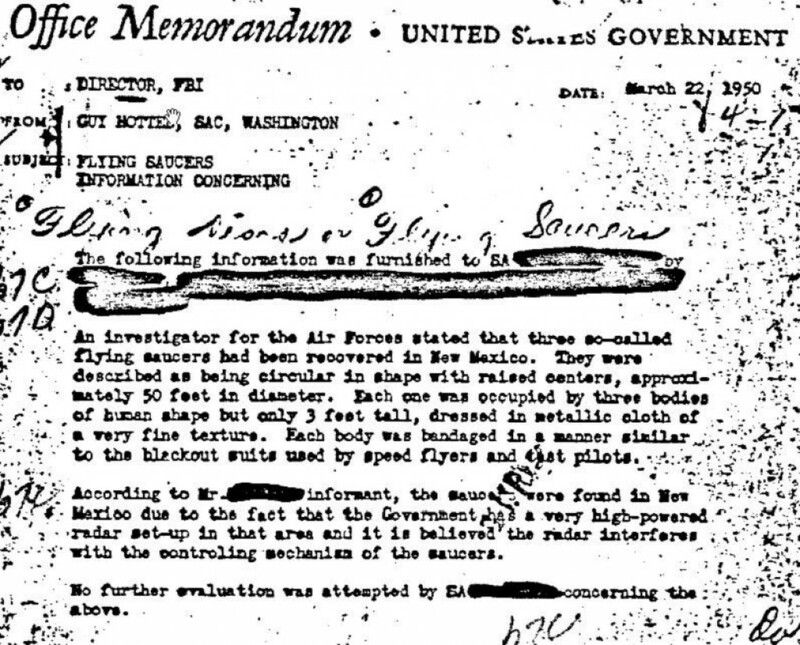 The FBI also made it clear that the memo is not related to the Roswell incident of 1947 in any way, the document relates to a completely seperate incident which remains unexplained to this day. Additionally, recent attention has been drawn to the FBI document which confirms that a UFO exploded above Utah (see video below). Dr. Bruce Maccabee has studied the FBI files extensively and concludes that there is an extraterrestrial presence engaging the human race, … and just in time for Sirius and CHOD (Citizen’s Hearing On Disclosure). * See the official explanation by Sergeant First Class Clifford Stone, for the Guy Hottel memo, in the column to the right. In addition, the MoD confirmed that they found evidence of the existence of MJ-12 under a secret stamp but could attain no further information on the subject. The MJ-12 documents were also confirmed by Stanton Friedman’s interview with Charlette Mann, who confirmed that her grandfather was involved in a UFO crash retrieval involving alien bodies as early as 1941. 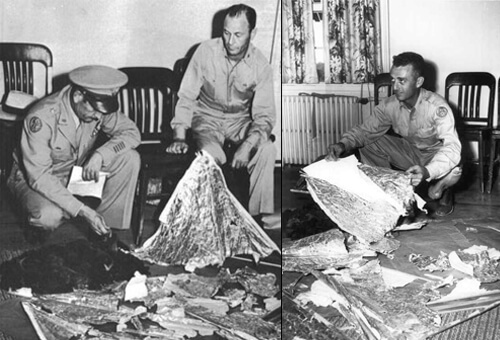 Mann claimed her grandfather had told her that he had seen unusual small bodies that either had as skin, or were covered in, some kind of material that looked like aluminium tin-foil. Is it just a coincidence that the Guy Hottel memo also describes the same details? Note: information regarding this evidence seems to be rapidly disappearing from the internet. 1. Parts of the discs carry crews, others are under remote control. 7. The disks possess a type of radiant energy, or a ray, which will easily disintegrate any attacking ship. They re-enter the etheric at will, and so simply disappear from our vision, without trace. Whilst the Disclosure project offers very little actual smoking-gun evidence (even over 10 years later), we need to remember that there are plans for the weaponization of space which Dr. Greer and all other participants of the Disclosure project seem to oppose. There is over 120 hours of highly compelling testimony from massively prestigious, highly reputable and credible government witnesses, people who we have trusted (and who have earned our trust) to have their fingers on the nuclear trigger; people such as Dan Salter, NRO (National Reconnaissance Office)who claims to have direct knowledge of a worldwide organization called ACIO (Advanced Contact Intelligence Organization) that was set up specifically to communicate with extraterrestrial civilizations.